"Balanced Training, Balanced Diet, Balanced Life." We love dogs, and we love to see dogs who are happy, confident, and respectful. Training with us is a life long investment. When your dog joins our pack it becomes one of our family members. That is why we only take 1-2 board and train dogs at a time, so that we can train through a lifestyle that we have created to help all dogs learn in a calm and healthy environment. 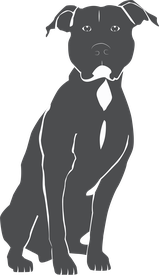 In our private dog training programs we require commitment and trust from the owner. Our programs make it easy to develop the goals you are looking for over time. We train you to be your dog's trainer. If our clients require extra assistance we offer it at no additional cost. Toms dog training experience started with his families dog who had aggression issues towards him and his brothers. After doing research, a company in Cleveland rehabilitated his family dog with balanced methods. Using rewards and corrections in the training process. After seeing the results and how much happier their dog was, Tom changed his path and began his journey in training dogs. He learned multiple methods, researched theories, attended seminars, trained at different facilities, and learned from trainers who had been doing it for years. After ten years in the dog world he has an arsenal of techniques that can help any dog. Using balanced training methods Tom creates a line of communication between human and canine that both can understand. Educating owners and training them to be their own dogs trainer is his goal. Dog training isn't a career to him its a lifestyle, people start as clients but become life long friends and their dogs are welcome back anytime for any reason. 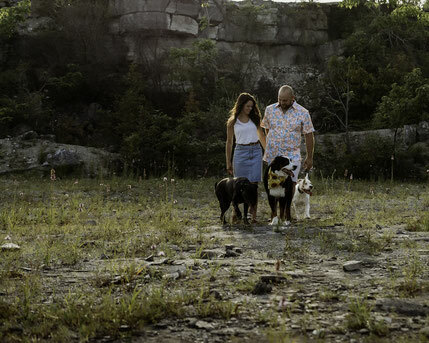 After graduating college, Kayanna Schuh decided corporate world wasn't her groove and went on a cross country road trip with her Bernese Mountain Dog, Sasja. Kay enjoyed making homemade "species appropriate" dog treats and wanted to learn more about canine nutrition. 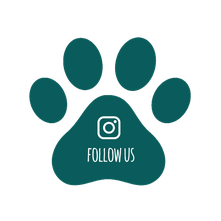 She interviewed and toured many holistic vet facilities across the country, learning the different avenues one can take when creating home prepared dog food and treating different health issues naturally. Since then Kay has attained multiple certifications from reputable institutions and has done extensive research on raw feeding and home cooked diets as well as herbal treatments. She considers the whole dog, lifestyle, age, and health issues, when making food and additive recommendations. Her main goal is educating dog owners to take their pets nutrition into their own hands in a simple balanced and natural way. Eventually, Tom moved out to Sandusky, where his family vacationed and made a lot of memories. Training dog's on his own and helping rescues rehabilitate dogs. When working with a rescue, they had a young white confident pittie who was gnawing at his kennel. Tom spent time training Snow to be adopted out. Tom would work him throughout the day, found that he loved the treadmill, and was a very loving young dog. One day Tom took him home for the night so Snow could enjoy some home comfort. After testing out the bed and getting to know Drax, Snow never went back, and became a new member of the pack. While Tom was training dogs in Cleveland, one of his clients came upon a lonely wanderer found near the highway. He had no tags, microchip, or any information. Tom took on the responsibility of caring for him while searching for his owner. After a few months of no luck, and whole a lot of bonding time, Tom decided to make this pup his own and named him Drax! Sasja has been with Kay since she was a puppy. Sasja has a whole lot of personality, loves her mom, loves company, and loves to run aimlessly and bark at things that are not there. Kay contacted Tom, to teach herself and Sasja, how to communicate on a higher level. It changed Kay's and Sasja's relationship completely. Kay and Tom became intrigued about each others beliefs, Tom was fascinated with Kay's knowledge about feeding a species appropriate diet, as she had been feeding Sasja since she was a pup. Kay was static that Sasja could roam off-leash, thanks to remote collar training from Tom. 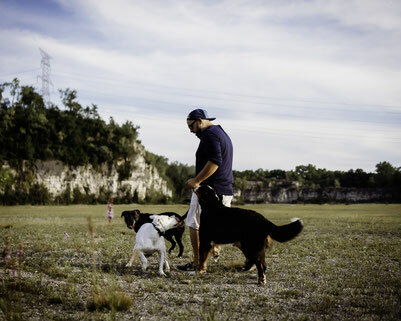 The two, dog loving individuals, became a team who fell in love with their passions for dogs. Tom, Kayanna, Sasja, Drax, and Snow are here to educate the Sandusky community and surrounding area's on building a balanced relationship between dog's and their owner's through Training and Nutrition. 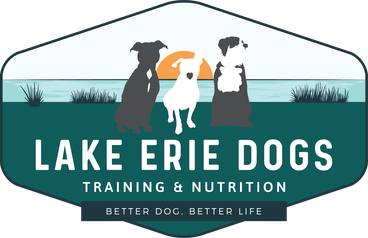 Enter your email to get exclusive dog training tips, canine nutrition information, and events in the Sandusky area!